The Outstanding Employee awards are chosen by nominations received by the Awards Committee from all faculty, staff, and students at VIMS. They are awarded in the categories of Facilities/Safety/Trades, Research and Advisory Service, Technical Support, and Administrative Support. The winner of the 2012 Outstanding Employee for Technical Support is Mr. Steve Snyder. 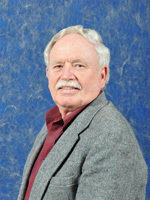 Steve began work at VIMS in 1970 for Physical Sciences and initially retired in 2001. However, he couldn’t stay away for long and after some intense lobbying came out of retirement in 2004 to begin his “next career” as a laboratory and field specialist in CBNERRVA and Biological Sciences. Steve’s expertise in water-quality sampling and marine electronics, his extensive vessel experience, and his knowledge of local waters have made him a vital part of research and monitoring programs that are highly important to VIMS and its state and Federal partners. His detailed knowledge of the sophisticated instruments and data-collection systems needed to implement these programs assures data and research results of the highest quality. Steve will not leave the laboratory until the job is complete and correct. Steve’s initiative, interest, knowledge, efficiency, and professionalism have made him an asset to the Institute for more than 40 years, and his exemplary work ethic, reliability, and positive attitude have earned the respect of his colleagues. Steve also takes the time to give back to VIMS whenever he can. One only has to attend Santa’s annual visit to VIMS to see that in action! Steve is a true gentleman and deserves this recognition for contributing so much to VIMS.